An IT Career is all about validating your skills, staying current and always learning more. No matter what IT Career you choose you need to continue to add certifications to your resume. Check out my blog: More Certifications = More $$. The biggest question is where to begin? Start by deciding What IT Career is right for you. The next question is What Certifications Do I Need to succeed in the Career Path I have chosen? Below is a detailed Certification MAP that lays out a series of certifications you should consider as you build your skills towards each specific IT Career Path. 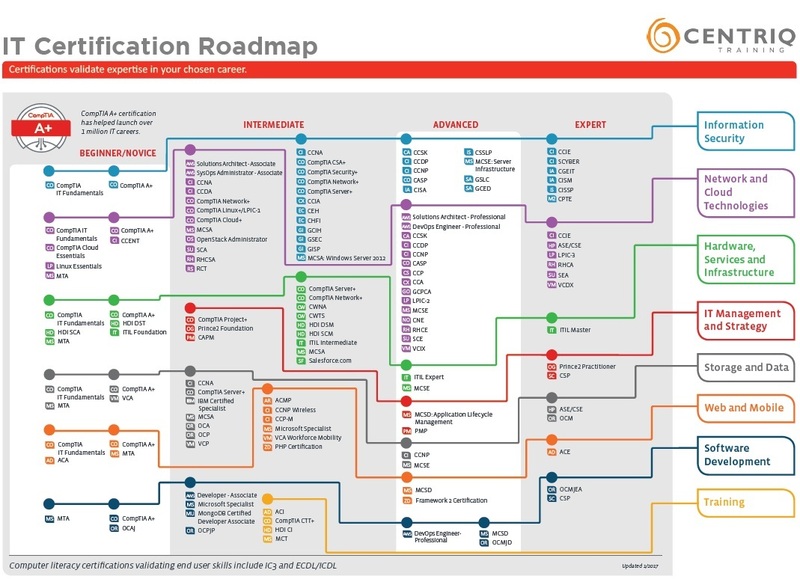 Click for a more details about the Certification Map from CompTIA. A+ Total Sims and Total Tester bundle or the Network+ Total Sims and Total Tester bundle . Total Tester; is an interactive practice test software with over 1000 practice test questions. You can create custom exams by chapter in Mike’s book or by exam objective. TotalSims; prepare for CompTIA’s performance-based questions and learn more about technical concepts covered on the exams.